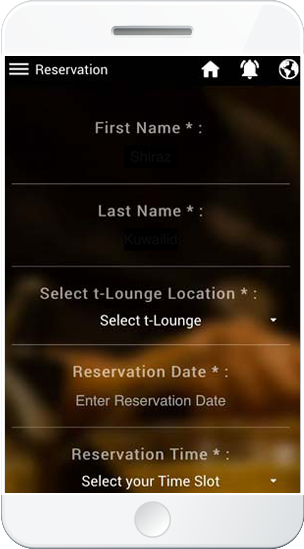 Our easy to use app lets you view our array of artisan-crafted teas, tea inspired food, what’s new and more at a t-Lounge near you! Earn points and indulge in everything from secret membership benefits, to invitations to tea inspired events with celebrity chefs, world famous mixologists and more! 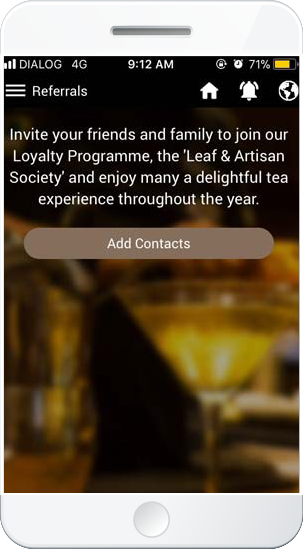 Your environmentally-friendly Leaf & Artisan Society Membership Card is accessible through the t-Lounge App! 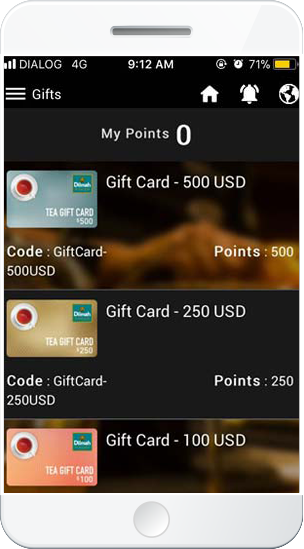 Every teatime you enjoy racks up points which you can redeem against your next bill! Referring friends and family to join will earn you 10 points per new lover of tea after they’ve registered and made their first purchase at the t-Lounge! 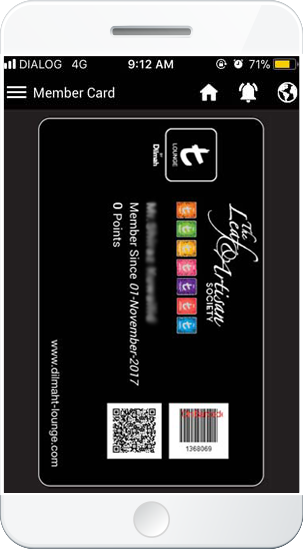 Send and receive t-Lounge Gift Vouchers with the points you've earned! Gift Vouchers can be redeemed against any F&B purchase at any t-Lounge in Sri Lanka. We're not going to lie, this is a big deal. You'll basically be the first person to know what's going on in the t-Lounge world. Hate when you only heard about our event just as we've sold out? Detest calling to reserve a spot for an event, promo, or just to chill? Avoid it all with just a few taps and maybe a couple of swipes to have your usual window seat reserved and waiting. Teas, t-Shakes, t-Smoothies, t-Mocktails, Sparkling Teas, Tea Inspired Appetizers, Mains and Desserts, all neatly presented to you on your phone or tab screen. No more googling for outdated versions! Pairing tea and food isn't rocket science, as long as you have this app. Know which tea to pair with what food and enhance an otherwise humdrum tea experience! Keep tabs on giveaways, events, celebrity appearances, limited time only delicacies, pop up tea and art galleries, tea and poetry readings, high tea for kids with the t-Bears, t-Radio karaoke, tea quiz nights and more! Only download gaming apps? Our fun, Tea Inspired games and quizzes challenge you to high scores and fun surprises. Learn, play, inspire.